Five minutes after missing a superb opportunity to equalize, second-half substitute Felipe Vieira got yet another chance for the New England Revolution. This time Vieira didn't disappoint as he converted to lift his team to a 1-1 draw with Seattle Sounders FC in a cross-country clash to close out the boys' slate of feature games at the 2018 Winter Showcase. Vieira latched onto a long ball by another second-half sub, Caleb Williams, and raced in on goalkeeper Holden Crook to equalize, slipping the ball home from eight yards in the 79th minute. Vieira had found himself alone in front of goal but shot wide right in the 74th minute. 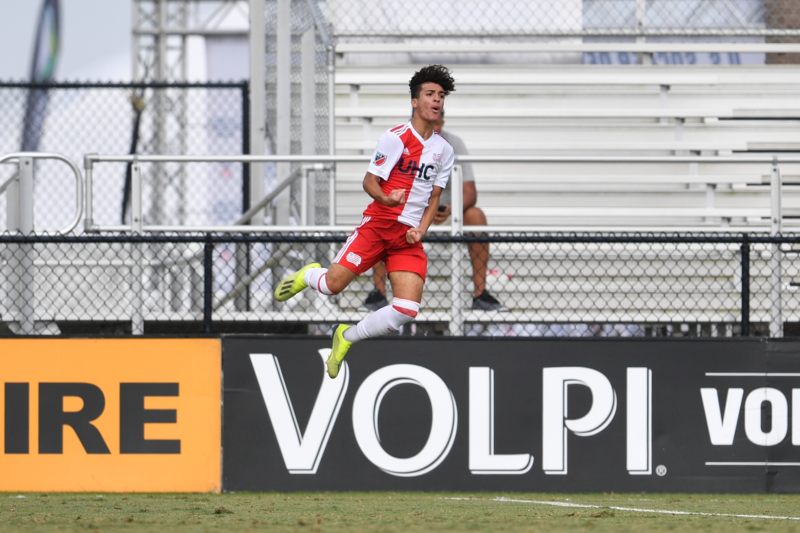 Seattle, the defending U-16/17 Academy Champion, drew first blood in the 13th as forward Ray Serrano dribbled through several players and sent a low shot inside the right post for his eighth goal of the season. Serrano tallied 22 goals last year in Seattle's championship campaign. Crook held off New England, swatting away Colby Quinones' attempt in the 24th minute and parrying away Damien Rivera's shot on the left side in the 51st. New England goalkeeper Eliot Jones also was up to the task, particularly in the second half. He made a two-handed save in the 69th minute and denied a free kick two minutes into stoppage time before a teammate cleared the ball off the line for the third time in the match.